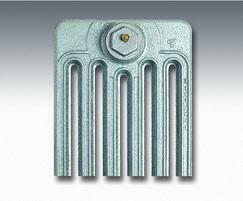 Dimensions (h x w) 4-column sections: 475, 655, 762, or 955mm (H) x 60mm (W) x 144mm (D); 6-column sections: 485, 655, 762, or 960mm (H) x 60mm (W) x 221mm (D). 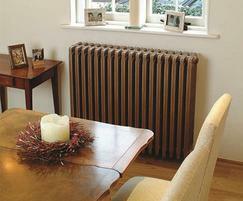 Victoriana traditional central heating radiators are the ideal choice for Victorian and other older-style properties. 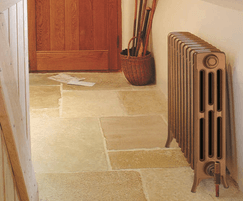 Victoriana cast iron radiators have been popular with both architects and designers for well over 25 years, and have often been used on heritage projects such as stately homes. 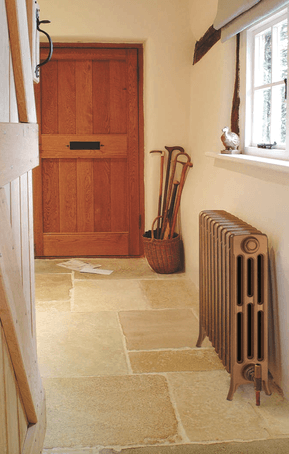 With a choice of many heights and depths, from the tall and slim hallway radiator to the short and squat window seat, Victoriana radiators suit every application, whether a restoration project or a new build. 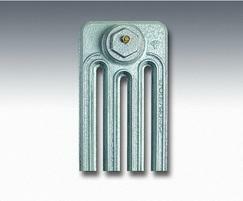 A comprehensive choice of brackets and mountings is supplied to give total fixing flexibility. Heat output verified to EN442, per section, dt=50°C. If wall-mounted, 58mm (+/-3mm) should be deducted from these heights. 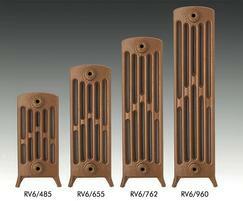 The Victoriana radiator range is supplied in a primer finish as standard or in an optional specified RAL colour. 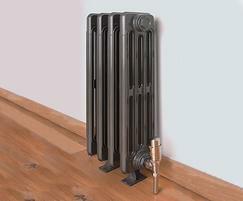 The radiators can be floor- or wall-mounted. They can be installed in lengths of up to 60 sections (3.6m). Because of the weight and size, they are supplied in units of 10 sections and can be extended on site, allowing for flexibility in design. They come with one air vent, one blank and two bushes to receive the valve set and wall brackets. Optional: wall brackets, free-standing pillar brackets, joining key (required if the radiator exceeds 10 sections), radiator valves, and antique brass feed pipe and shroud x2 set. All dimensional drawings of radiators and valves for pre-installing pipework can be viewed on www.aelheating.com. 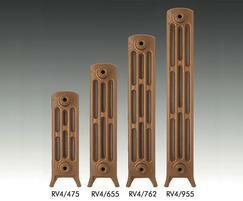 Radiators are tested and approved to European Standard EN442. 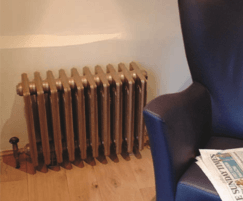 This directive was brought into force to define “heat measurement sampling” for hot water radiators in all European countries, a positive step forward to ensuring radiators tested and approved will provide the stated heat output required and also give a guarantee that the product will be fit for purpose. EN442 provides a guarantee that the stated output of radiators from reputable manufacturers is correct and highlights and deters the use of poor quality untested radiators in European installations.